Glamorized by “The Devil Wears Prada”, “The September Issue” and even SATC, NYFW has the reputation of being ‘the’ fashion event to be seen at. I have always viewed it as the place where we would likely see the latest innovation first. So therefore, should it be a surprise that I expect more when it comes to participating designers merging fashion and technology? Well, I do not think so. That being said, it was after much digging through the usual runway fluff, that I came across some forward thinking brands embracing technology like it should, wholeheartedly. Olya Petrova Jackson is a designer making waves at NYFW this season. Described by NY Magazine as “The Designer Making Wearable Tech That Feels Chic, Not Gimmicky” I was curious to find out more about her. Showcasing a collection inspired by her determination to find a way to make the often-cold technology feel more tactile and intimate, this season Jackson’s “screenwear,” has given her pieces an edge above the rest. 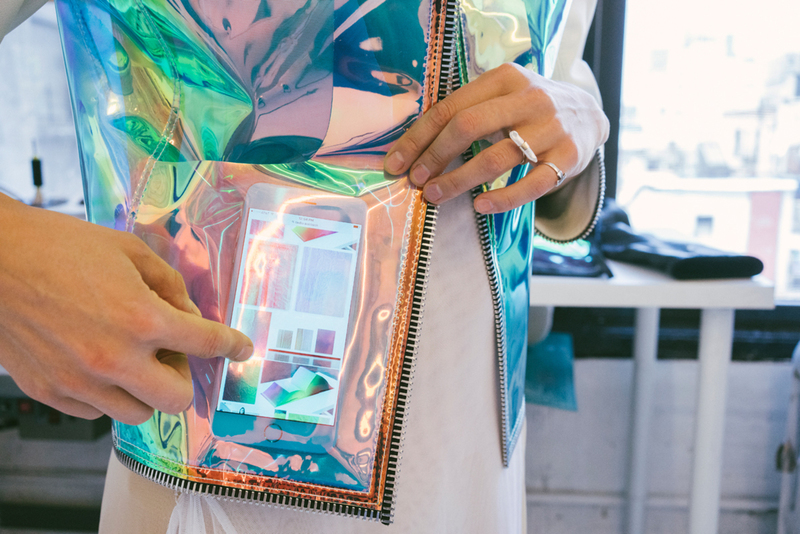 Working on her own technology-oriented designs, Petrova Jackson’s started Ab [Screenwear], a fashion label and lab aiming to re-contextualize our relationship to the digital screen. As a part of her winter release for 2017 A2/17_2017 Olya collaborated with a multimedia artist and weaver based in Lviv, Ukraine, Tereza Barabash, for a capsule collection of screen woven fabrics Our favorite piece is a jacket made of shiny Dichroic polyurethane that reflects a whole spectrum of colors. The jacket also has pockets so thin that you can tap away at your phone or tablet through them. The beauty tech industry seems to be in the fast lane when it comes to new advancements. One of the companies currently paving the way is Perfect365, a free makeup and beauty app that has, this season, partnered up with renowned NYFW designers including Anna Sui, The Blonds, Leanne Marshall, Michael Costello, and Zang Toi. Bringing makeup looks and runway shows to millions of users worldwide, Perfect365 has made it possible for app users to try on makeup look from NYFW designers. The app has also been designed to give fashion and beauty lovers to also get front row runway experience via Perfect365’s new live stream. 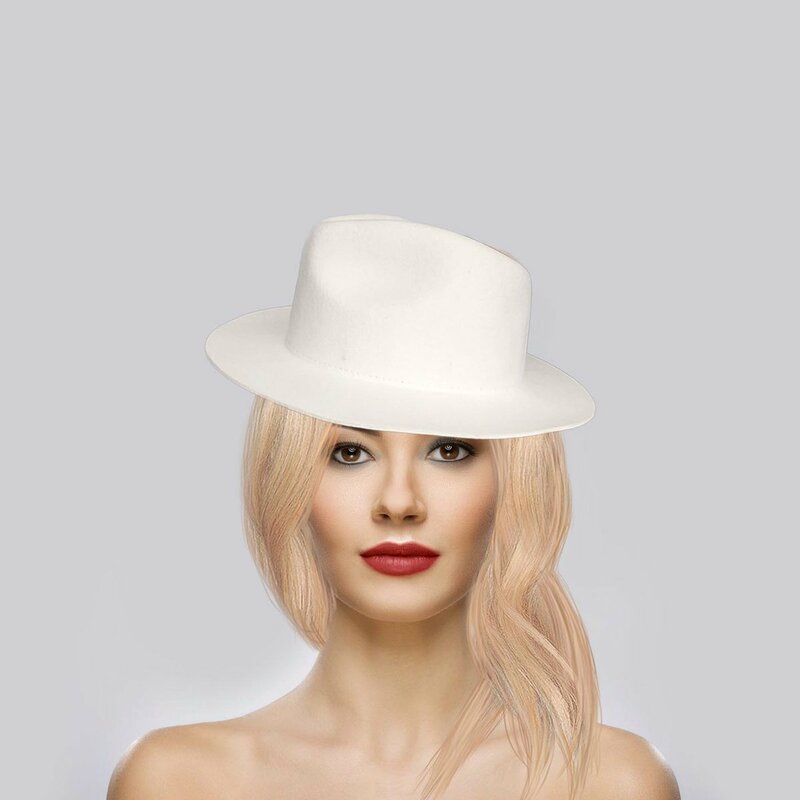 In addition, Perfect365’s Explorer community artists have created NYFW inspired makeup looks that users can try on live in the app. Instantly accessible using live makeup in the Explorer section of the app, artists that have created looks for Perfect365 include Carol Lago, Alexis Blackmon and Claire Xiong. When it comes to the technology, Perfect365 uses one-of-a-kind advanced Face Detection technology that makes the most accurate virtual makeup placement possible. The app offers more than 200 one-tap makeup looks, over 20 customizable makeup and tweaking tools, making the Perfect365 the go-to app for selfie, makeup and fashion enthusiasts around the world. Last season, Perfect 365 partnered up with fashion designers David Blond (from The Blonds), Leanne Marshall and Laurel DeWitt, and together they created a digital makeup look. Now fast forward to now, and Perfect365 is still committed to building a leading beauty platform for consumers and businesses. Their overall plan is to continue its plan to actively engage in partnerships with beauty brands, retailers and artists. Grabbing the most headlines at New York Fashion Week this season, is the collaboration between Google and Ivyrevel. Together the two companies have explored creative integrations of the Awareness API, to bring couture into the digital age. Their combined efforts gave birth to the ‘Data Dress’, which operates by gathering information through the Snapshot API as well as the Awareness API. 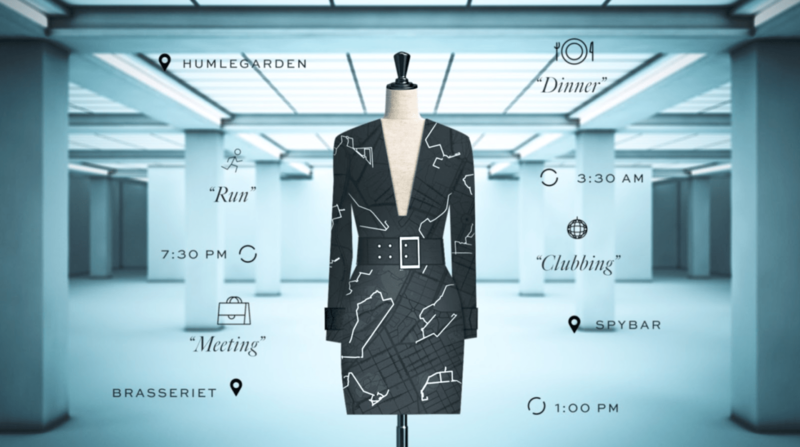 Collectively gathering details like fitness activities, places visited like restaurants and the weather in the location of the user, the App uses this information to design and make your dress unique and tailored to your personal style. Did we miss any tech at NYFW? Do let us know, because we would love to hear about it.